Hair loss can affect a patient’s self-confidence, leaving those with thinning hair unhappy with their appearance. Hair loss treatment is available to restore the hair to it's former thickness and volume. Hair loss can happen to men and women, and may begin as early as their 20s. Some patients will experience hair loss due to genetics, while others may find that a high stress lifestyle has caused hair loss. Those who live highly stressful lives may attribute their hair loss to adrenal fatigue. 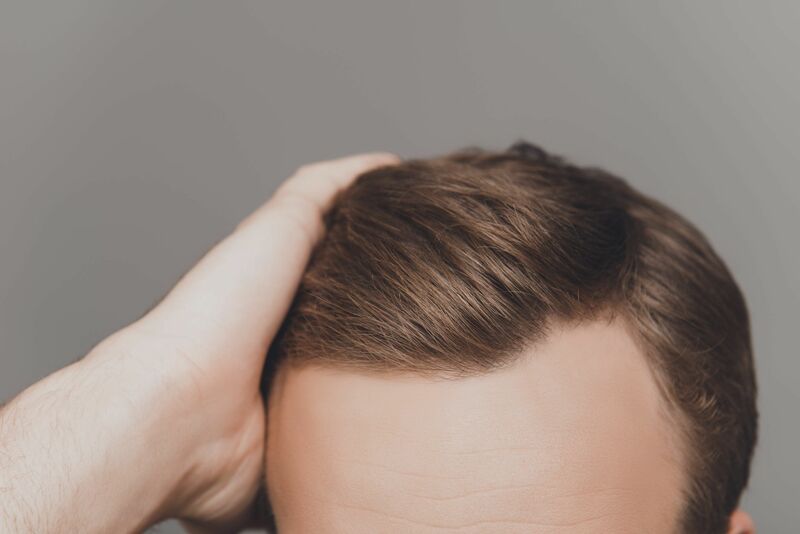 To learn more about hair loss and adrenal fatigue, schedule a consultation with New York, NY hair restoration doctors Robert J. Dorin and Robert H. True. How Does Adrenal Fatigue Cause Hair Loss? Adrenal fatigue may cause hair loss due to problems with the production of the two hormones linked to hair loss, testosterone and dehydroepiandrosterone (DHEA). Adrenal fatigue can lead to problems with processing DHEA and testosterone, which may lead to hair loss in men and women. In other words, adrenal fatigue disrupts the hormones, leading to hormonal imbalances, which can manifest as hair loss. Breathing and stretching: Taking time throughout the day to stop, breath, and stretch can help release tension and stress. Exercise: Exercising is a great way to release stress and encourage hormonal balance. Doing some amount of physical activity everyday, like walking, yoga, or weight training, is optimal, but exercising as little as three times a week can also be beneficial. Meditation: Spending a few minutes or longer a day meditating can help calm the body and mind, helping to reduce stress. Follicular unit transplantation: With follicular unit transplantation (FUT), skin grafts containing hair follicles are transplanted into areas of hair loss or thinning. Follicular unit extraction: With follicular unit extraction (FUE), no skin grafts are involved. Rather, follicular units are taken from the back of the head and transplanted where hair has thinned. Non-surgical treatments: Non-surgical treatments are an option for those who wish to avoid surgery. Some non-surgical treatments include platelet-rich plasma (PRP) therapy and ACell laser therapy. For more information about treating hair loss, we invite you to schedule a consultation with True & Dorin Medical Group.